ART & LIFE: The 28-year-old, who finishes law school this year, says it's her dream to work with more international dance companies. Juggling law school’s final year, the dance world, and the big plans on her horizon, innovative choreographer Renée McDonald is winning – and living life on her own terms. WITH energy-boosting coffee in hand, Renée McDonald arrives promptly for her early-afternoon interview at the Jamaica Pegasus Hotel, exuding the warmth and elegance that we have come to associate with her. 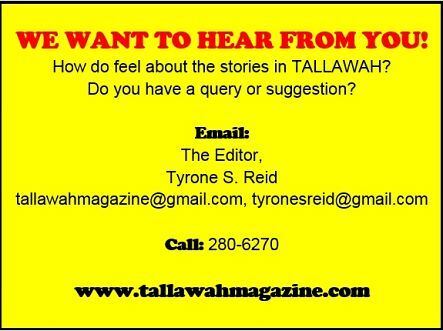 She is also charming, very polite and full of compliments for the work that TALLAWAH has been doing over the years. (We love her even more now!) Once settled on the plush-red sofa adjacent to the hotel’s Legacy Suite, she flashes that megawatt smile that says she’s game, ready to spill the beans on the memorable year she’s had and the evolving artistic journey she’s been making. For the uninitiated, Renée McDonald is one of the most seriously talented choreographers producing work in the contemporary Jamaican dance community, and in September she hit a career high when she was invited to mount a piece for the internationally acclaimed Ailey II troupe in the United States. She did us proud and wasted no time returning home to work on brand-new pieces for Dance Theatre Xaymaca and Company Dance Theatre, the troupe that, under the legendary Tony Wilson, nurtured and enhanced her creative instincts. But McDonald, who is currently finishing up at law school (more on that later), is the kind of relentless young achiever who enjoys having a full plate and wearing many different hats that speak to her versatility and flexibility. But, as we all know, taking on too much can take its toll. For McDonald, 2017 reminded her of that in a big way. McDonald, who completes law school this year, may be a nice girl and a pretty face but she’s also a fighter who believes wholeheartedly in push and perseverance. At age 28, she has set no ceiling on what she wants to take on next and in subsequent chapters of her vibrant young life. Choreographing for more international companies, teaching kids the technical rigours of interpretive dance and setting up her law practice and starting her own performing arts company – she wants it all. The girl can’t help it. Yes, ma’am. McDonald comes by this uninhibited self-assuredness the old-fashioned way: a solid upbringing. A city girl through and through, her parents (mom is a chartered accountant, dad is a project manager) first enrolled her at Sts. Peter & Paul Prep (where her bestie’s passion for dance rubbed off on her and led to the Tony Wilson stables). 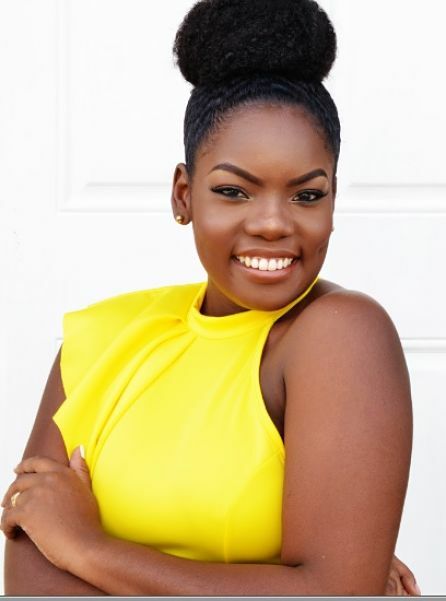 Campion College was up next, before she went on to complete a marketing degree at UWI Mona and indulge her evolving passion for dance/choreography with the widely acclaimed University Dance Society (UDS). So ever since she turned eight, dance has been in the picture; Renée has always been losing herself in that vortex where music inspires magical movement. She choreographed her first big piece for L’Acadco in 2009. (Artistic Director L’Antoinette Stines calls her talent “a gift from God”). Eight years on, Renée puts it quite interestingly. “I would say my life as a choreographer feels like a snowball rolling down a hill. It starts small, then keeps rolling and rolling and rolling. And I’m still rolling. It’s been very fulfilling, very rewarding, having one thing lead to another,” she notes. Her pieces like “Divulgence” and “5Urge” are fiery testament to her innovative approach to motion. You don’t just see these dance creations; you experience them and they stay with you. Hopefully, her future exploits in the legal profession won’t dim her passion or rob us of her impressive creativity. She has so much more to bring to dance. But Renée being Renée, she is serious about becoming an attorney. “I do plan to practise, but I have no idea what exactly I want to do. I like to draft; writing up the documents. Some people love going to court. I love writing up the documents.” She’s been getting lots of practice drafting wills etc. for school assignments. For years done; the final one almost complete. That said, she could have another big year ahead, but cautiously optimistic, she’s simply keeping her fingers crossed. “2018 for me is a blur. I think it will all come down to the opportunities that are presented to me. If a huge choreography job comes up, I don’t know if I’ll be saying no to that,” she explains. By her own admission, Renée loves people. She enjoys photography and she likes a good party, where she can kick back with her friends. She knows how to have a good time, but her commitment to her craft as an artist keeps her focused on her future and where she wants to go.